Ever since I went to The Pig and the Lady for the first time, I've been eager to go back. And due to a strong desire for something sweet, a group of us went there on a whim! The Plantation Iced Tea Malasadas were my favorite, and I don't even like malasadas! 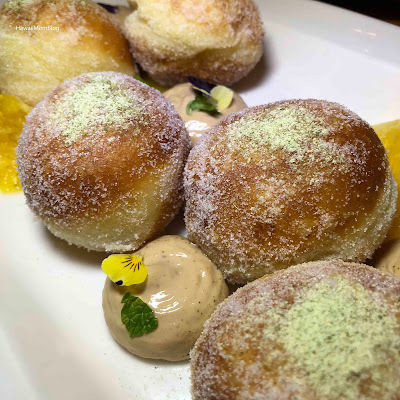 Dusted with kaffir lime sugar, and served with a pineapple & lemon curd, chilled Earl grey tea foam, and mint, they were simply divine! I could've eaten all five myself! 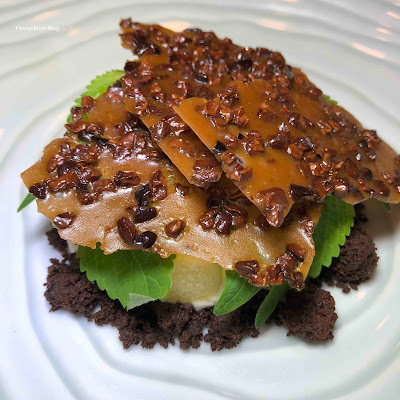 The Cookies & Cream dessert consisted of a chocolate sable crumble, white chocolate cremeaux, cacao nib tuile, dragon eye, and taro stem. 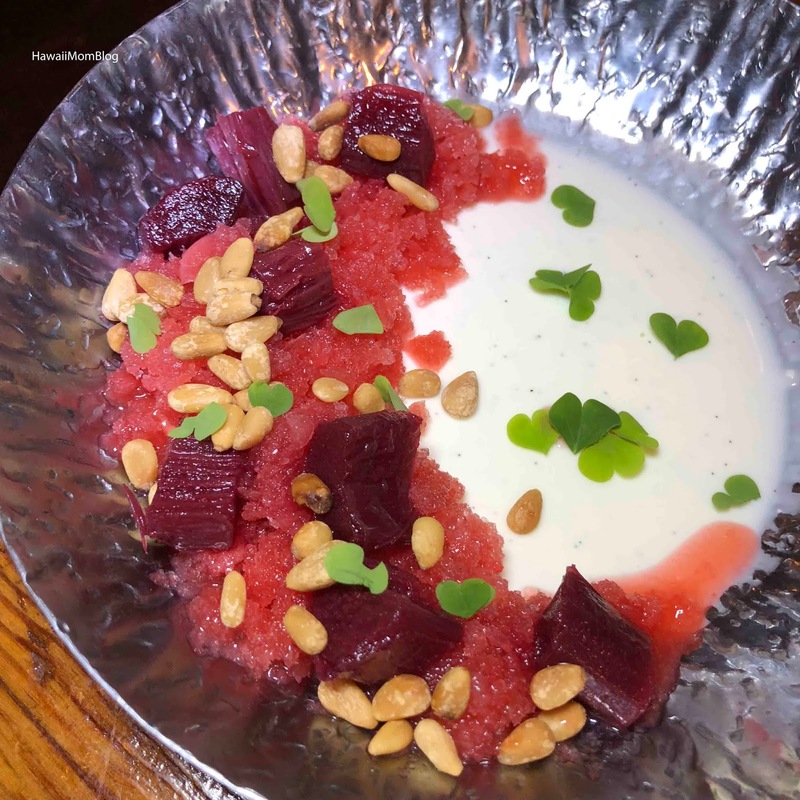 The Big Island Goat Cheese Panna Cotta was infused with vanilla bean, and topped with rhubarb poached in hibiscus, pickled strawberry granita, toasted pine nuts, and wood sorrel leaves. It was so pretty! 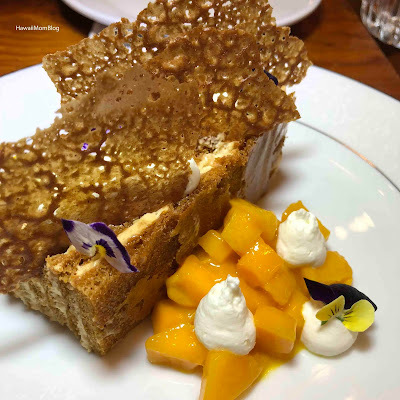 The Macadmia & Blossom Honey Cake was another of my faves. A light dulce de leche chantilly cake layered with big island goat cheese mousse, topped with honey wheat tuile and served alongside Makaha mango - delicious!! 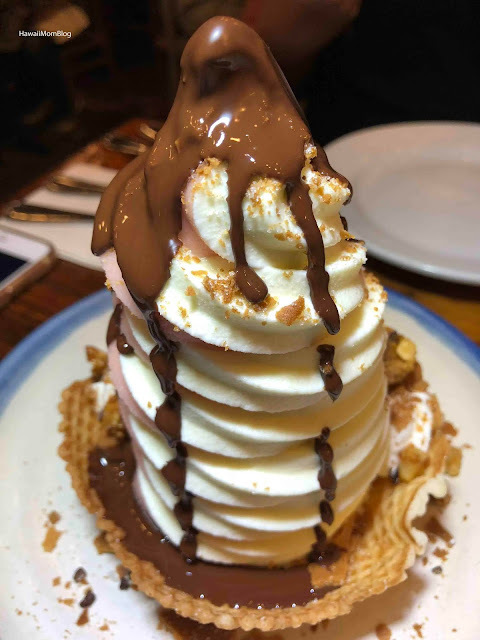 And no visit to The Pig and the Lady is complete without a Sundae Funday! The soft serve flavors of the week were Calpico Custard and Watermelon Sorbet. Served in a coconut waffle bowl and topped with chocolate magic crack - sublime! The Pig and the Lady definitely satisfied my sweet tooth!